The Outdoor Advertising Association of America gave out its 2016 OBIE Awards for the year's best out-of-home advertising in Boca Raton, Fla., this week. Four agencies walked off with Best of Show prizes—for innovative and beautifully designed outdoor work. 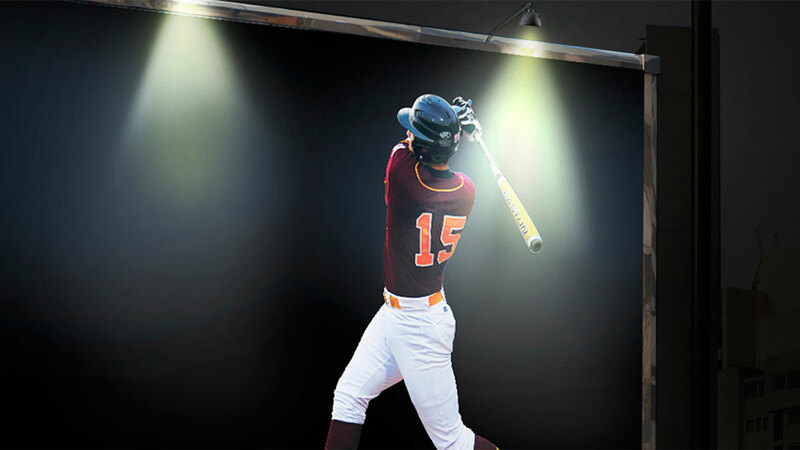 Jackson Marketing Group in Greenville, S.C., won the Best Billboard Campaign award for its "2015 Season Kickoff" work for Big League World Series, a baseball tournament held each year in Easley, S.C., for kids 15-18. The series featured photos of kids competing in prior editions of the tournament—in ads that nicely illustrated the drama of playing on a national stage (see the broken light in the ad below). Downtown Partners in Chicago took home the Best Multi-Format Campaign award for its "Space is Freaking Awesome" ads for Adler Planetarium. This campaign was colorful and gleeful and packed with cool space facts. The award for Best Wall Mural Campaign went to MRY and Colossal Media in New York for Adobe's "Make It with Creative Cloud" work. Adobe chose 10 out of 1,600 submissions from female artists in 60 countries to create "The World's Biggest Student Art Show." The winning images were hand-painted on walls in the Bushwick neighborhood of Brooklyn. Sukle Advertising & Design in Denver won the Best Street Furniture/Transit/Alternative Campaign for Denver Water's incredible handmade "You Can't Make This Stuff" ads, which we wrote about here. Gerry Graf of Barton F. Graf was this year's chief OBIE judge. "I am thrilled to see how the OOH industry continues to transform, better connecting clients with consumers, and I am excited to see how ad professionals are pushing the envelope in creative thinking," he said. "Tonight's winners are a true testament to the power behind extraordinary OOH design." "The OBIE Awards celebrate outstanding creativity and design, honoring those who make truly unforgettable advertising," added OAAA Chief Marketing Officer Stephen Freitas. "This year's winners demonstrate the countless ways that simplicity and beauty can be captured and expressed through the out of home advertising medium."